polyFIBRO – Transform Your Pool! polyFIBRO is a scientifically formulated aquatic coating devised to tackle the issues of traditional gel-coat finishes. The thermo-polymer coating is long lasting and does not chip, peel or crack like traditional gel-coat and paint finishes. Also the variety of colors and custom colors is more high-end in appearance and easier to apply than gel-coating. 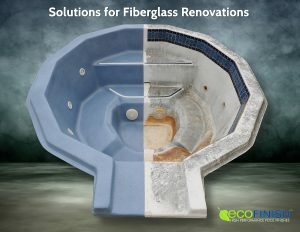 polyFIBRO is the line of aquatic fiberglass coating swimming pools that will transform your pool or spa into a high end super low maintenance focal point. This forced swimming pool builders in many regions to switch to plaster finishes. Plaster has its own set of issues, in the form of a long and complicated start-up process (Hot-Start), as well as staining, shrinking, and cracking problems. aquaBRIGHT was scientifically developed to present a solution to these aquatic finish problems. The long-lasting thermo-polymer finish, aquaBRIGHT is the wave of the future. For fiberglass coatings, inquire about our polyFIBRO swimming pool finishes. 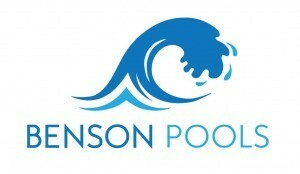 The Only UL Rated NSF 61 Classified Pool Finish on Earth! Book your Spring 2019 Pool Opening!